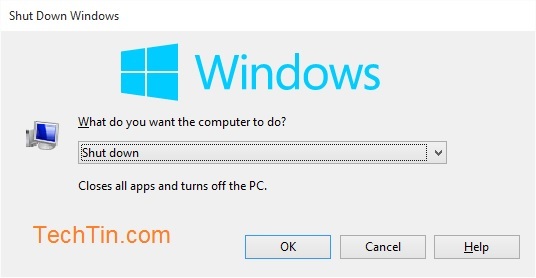 Please follow below steps to shutdown / restart / sleep your computer in windows 10. 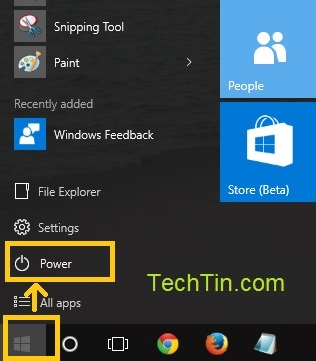 Click Windows Start button located in left bottom corner. 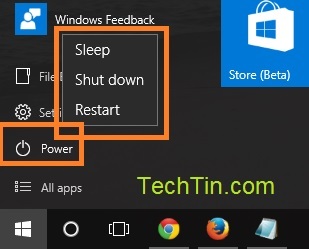 You can now see the option to shutdown / restart / sleep. Check screenshot below. Go to desktop. Press Alt + F4 buttons on keyboard. Select option from drop down menu and click ok button.